The Rockets’ front office tried bring the franchise back to respectability by hiring venerable Alex Hannum (left) as head coach (and General Manager) for the 1971 – 1972 season. Hannum immediately overhauled the team’s entire image: the team colors (and uniforms) were changed from orange and black to columbine blue and yellow (the colors of the columbine, Colorado’s state flower). Hannum signed two more promising rookies, Dave Robisch an All-American center out of Kansas) and Marv Roberts (an All-American forward out of Utah State). The Rockets’ new slogan was “New in ’72.” With Hannum’s structured offensive patterns (and stingy defense), the Rockets were certainly new, but they weren’t much better (at least during the regular season). They showed some promise, but finished 16 games below .500 (at 34-50). Simpson had a career-best year scoring-wise, averaging 27.4 points per game. He was named Second Team All-ABA. Guard Larry Brown, who had been acquired from the Squires the year before, was the team’s capable ball-handler. Brown finished third in the league in assists, with 7.2 per game. The NBA continues to expand adding a team in Seattle and San Diego. 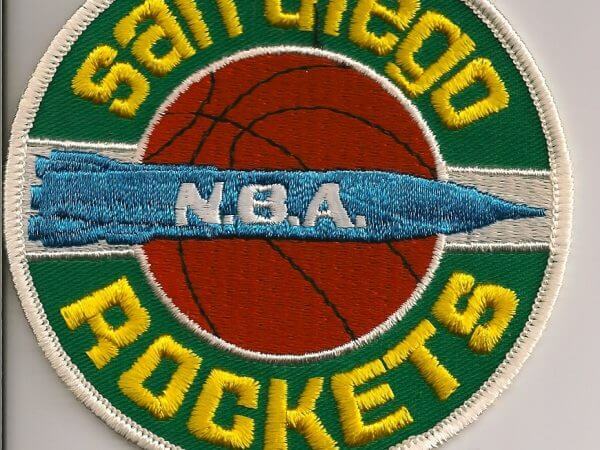 The San Diego franchise was named the Rockets, since it was the city where the Atlas Rockets for NASA were made. 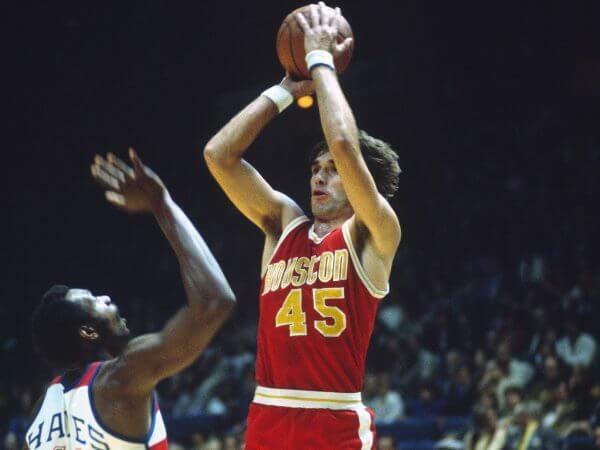 The Rockets did not blast off right away as they dropped their first two games at home against the St. Louis Hawks on October 14th and 17th, before beating their expansion brother Seattle Supersonics on the road October 20th for their first win. Talent was hard to come by for the expansion Rockets as a rival league known as the American Basketball Association was starting up at the same time, as the Rockets only won 2 of their first 16 games. The Rockets would go on to finish in last place with a league worst record of 15-67. In 1968, after the Rockets won a coin toss against the Baltimore Bullets to determine who would have the first overall pick in the 1968 NBA draft, they selected Elvin Hayes from the University of Houston. 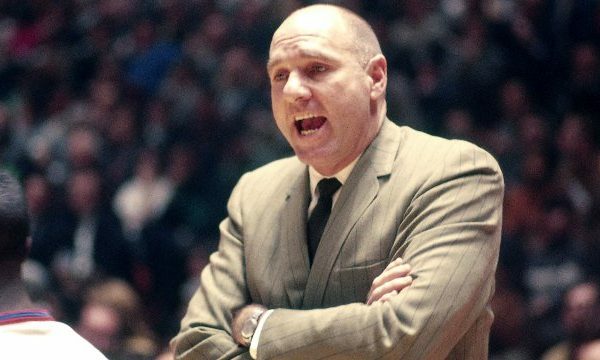 Hayes improved the Rockets’ record to 37 wins and 45 losses, enough for the franchise’s first ever playoff appearance in 1969, but the Rockets lost in the semi-finals of the Western Division to the Atlanta Hawks, four games to two. Despite the additions of Calvin Murphy and Rudy Tomjanovich and the management of Hall of Fame coach Alex Hannum, the Rockets tallied a 57–97 record in the following two seasons and did not make the playoffs in either season. Because of the low performance and attendance, Breitbard looked to sell the team, and in 1971, Texas Sports Investments bought the franchise for $5.6 million, and moved the team to Houston. The franchise became the first NBA team in Texas, and the nickname “Rockets” took on even greater relevance after the move, given Houston’s long connection to the space industry. 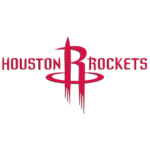 The Rockets were founded in 1967 in San Diego by Robert Breitbard, who paid an entry fee of US $1.75 million to join the NBA as an expansion team for the 1967 – 1968 NBA season. 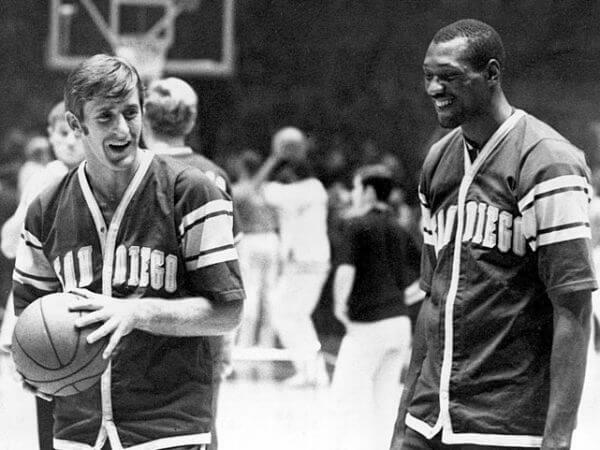 The NBA wanted to add more teams in the Western United States, and chose San Diego based on the city’s strong economic and population growths, along with the local success of an ice hockey team owned by Breitbard, the San Diego Gulls. The resulting contest to name the franchise chose the name “Rockets”, which paid homage to San Diego’s theme of “a city in motion” and the local arm of General Dynamics developing the Atlas missile and booster rocket program. Rockets – The San Diego franchise nickname became the “Rockets”which used the name because it was a “city in motion” and due to the local development (General Dynamics) of the Liquid-fuel Atlas missile and booster rocket program. San Diego was the home to many space-age manufacturers. 1979 – 1980 / George J. Maloof, Sr.
Who is the greatest San Diego Rockets? The Rockets were founded in 1967 in San Diego by Robert Breitbard, who paid an entry fee of US $1.75 million to join the NBA as an expansion team for the 1967 - 1968 NBA season.